industry awards we receive every year. Most of them are all the more valuable as they are given by the guests themselves. Thank you for your trust! 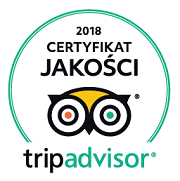 Jak co roku na początku czerwca cała branża czeka na przyznanie nagród portalu TripAdvisor. Miło jest nam poinformawać, że po raz kolejny nie zawiedliśmy i otrzymaliśmy Certyfikat Jakości 2018. Tylko kilka procent obiektów z najlepszymi recenzjami kwalifikuje się do nagrody. Tym bardziej dziękujemy naszym szanownym Gościom za znakomite opinie. Best Butique SPA in Poland! Decyzją jury 12 edycji konkursu SPA Prestige Awards nasze Balijskie SPA zostało uznane za Najlepsze Butique SPA w Polsce. Dla nas wyróżnienie jest tym bardziej cenne, że otrzymaliśmy bardzo dużo głosów od naszych Gości. Niebanalny wystrój oaz kameralny charakter naszego SPA zyskały uznanie w oczah jury i przede wszystkim naszych niezawodnych gości. 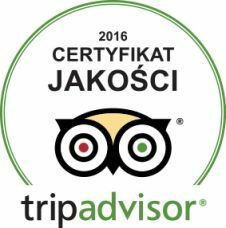 A year has passed ostatniego wyróżnienia przyznanego przez TripAdvisor. W tym czasie wytrwale pracowaliśmy dla naszych Gości. Wysiłek się opłacił i z dumą informujemy o świeżo otrzymanej nagrodzie. Przyznaje ją najbardziej wpływowy portal turystyczny TripAdvisor, który bazując wyłącznie na opiniach Gości hotelu uhonorował nas Certyfikatem Jakości 2017. The 11th SPA Prestige Awards jury has awarded our Balinese SPA by distinction in the category of Best Wedding SPA. This prestige achievement is the most valuable for us, as the "jury" were our guests. This award presents perfectly feel our Guests' needs by offering hen parties at the Farmona Wellness & SPA and organizing at the Magnifica Restaurant. Nasi Klienci doceniają przede wszystkim standard obsługi, który buduje wizerunek organizatora w oczach uczestników i przełożonych. Dodatkowym atutem jest chwalona przez Gości oferta gastronomiczna - smak i jakość potraw często potrafią zdominować rozmowę przy stole. Three forks is not a new table setting - Grand Award 3 Forks is the name of the prize in a competition for the very best places to eat - Poland 100 Best Restaurants. 1st place in Cracow, 8th place in Poland. This is a result clearly showing that values such as menu's fineness, food taste, service friendliness and atmosphere of the Magnifica Restaurant are highly recommended by our customers. High rating is a specialty of our guests. Winning prizes is our specialty. We provide consistently the highest level of service and gain excellent marks. We have just received the prize awarded on the basis of guests reviews in 2016. Rating is a result from the real opinions based on real experience of real hotel guests. 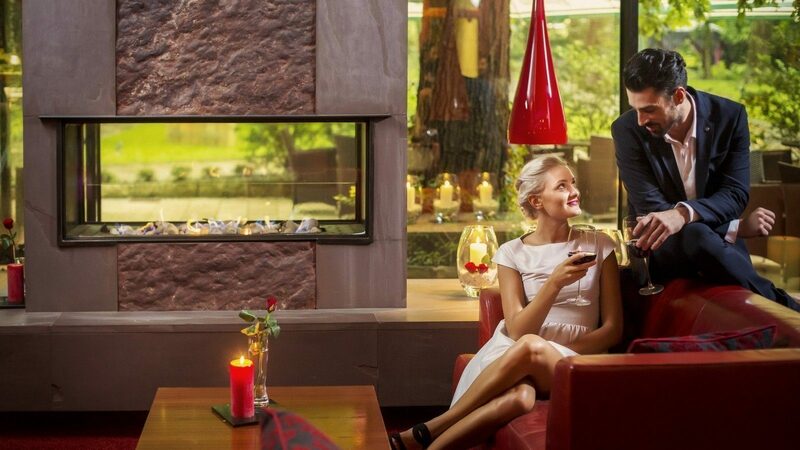 This world's biggest reservation portal annually recognizes the best hotel practices worldwide. We are proud to announce that influential and the most popular in tourism industry portal - Trip Advisor - once again honoured the Farmona Business & SPA with the Quality Certificate. 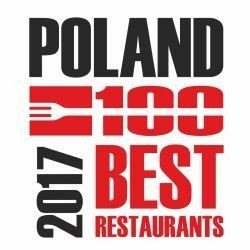 The unique company of the best hotels in Poland and all over the world certainly can hold our heads high. However, we bow ourselves to the guests. Kolejny raz otrzymaliśmy rekomendację portalu MojeKonferencje.pl . 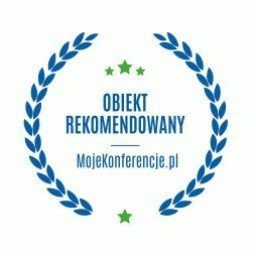 Certyfikat jest wyróżnieniem, potwierdzającym najwyższą jakość obsługi szkoleń, konferencji oraz eventów biznesowych. 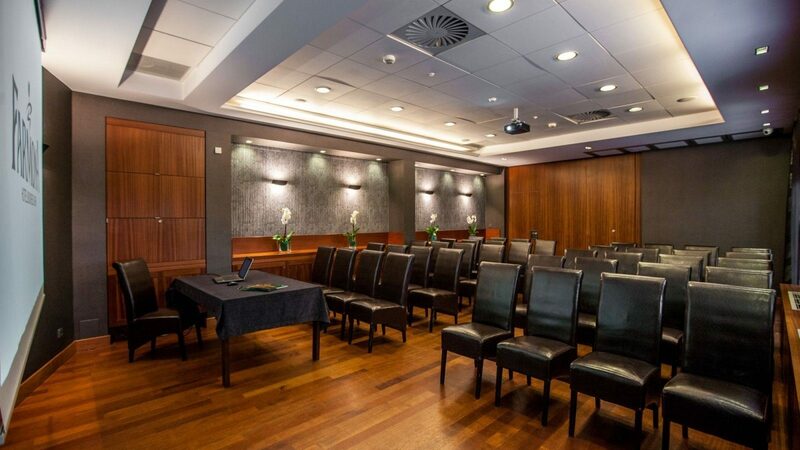 Organizacja takich wydarzeń w Hotelu Farmona Business & SPA zawsze cieszylą się dużym zaiteresowaniem Klientów. Kameralny charakter obiektu gwarantuje udany dzień i efektywnie wykorzytany czas. Sala konferencyjna otwarta na park, możliwość zorganizowania przerwy kawowej na świerzym powietrzu lub wizyta w balijskim SPA to z pewnością atuty oferty konferencyjnej. Wyróżnienie za Najlepsze Boutique SPA! W jubileuszowej, 10-tej edycji konkursu SPA Prestige Awards, Państwa głosy zaowocowały przyznananiem nam wyróżnienia za Najlepsze Boutique SPA w Polsce. w którym manualne techniki i bliskość natury spotykają się z nowoczesną kosmetyką pielęgnacyjną. Klimat i czar naszego SPA to unikalna jakość w skali całego kraju a profesjonalizm personelu i innowacyjne preparaty pielęgnacji są regularnie doceniane przez Gości. Tak było i tym razem. We have received Travellers' Choice awards.another year in a row. This time, we have received awards in two categories: Best Service and Bargain. 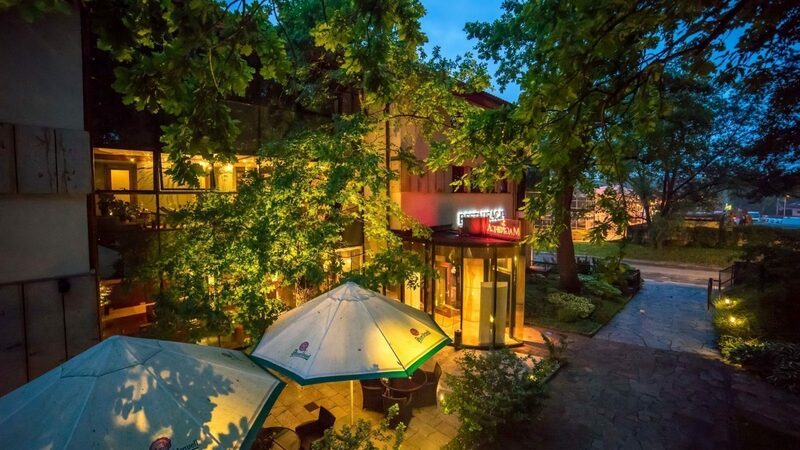 Farmona Hotel Business & SPA is again in the exclusive group of 25 hotels among thousands of facilities in Poland. 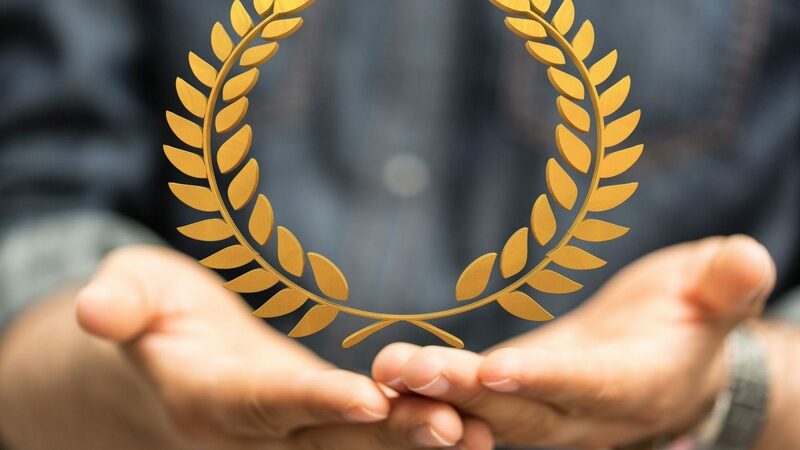 This year, the award in the Best Service category is even more valuable, as this has been due to the hard work of the team of our hotel’s employees! Trip Advisor - is the world’s largest travel website, whose idea is that customers themselves share their opinions. It is also one of the first sources of objective information about a hotel. Therefore, the importance of the awards for Farmona Business & SPA cannot be overestimated! Dear guests, thank you very much! Odys 2014 from the Kraków Chamber of Tourism! ! We are pleased to announce that the Kraków Chamber of Tourism has given the Farmona Hotel Business & SPA the prestigious ODYS 2014 award for the best quality of tourist services in the Lesser Poland Voivodeship. It is a prestigious award given to facilities which meet the highest criteria of guest service by acommittee of professionals from the world of tourism, journalism and the government of the Lesser Poland Voivodeship and the City of Kraków. We are very pleased to inform you about another prestigious award for Farmona Wellness & SPA. The competition is organised upon the initiative of Beauty Forum, a magazine addressed to the professional cosmetic industry. Its quality and professionalism allow it to provide readers content rich in knowledge and the latest news in the field of care, medical beauty, wellness and natural cosmetics. For more than 17 years, the magazine’s publisher has been organising the largest Polish fairs of professional cosmetics: BEAUTY FORUM and BEAUTY FORUM & SPA. We can proudly say that there is further proof of recognition from our guests now. This time, we have received 5.8 out of 6 points from Holiday Check. The recommendation received is mainly recognition from German-speaking tourists who look here for inspiration and opinions on travelling and leisure. Like on the Trip Advisor, website, the opinions here have been written by our hotel guests for other hotel guests – and the happier we are that they rank us so high! Our two awards in the two categories: Romance and Bargain, received from Trip Advisor this year, have recently been accompanied by their big brother: the Certificate of Excellence. This prestigious award is received by hotels which regularly get top marks from TripAdvisor’s travellers. In May 2014, Farmona Hotel Business & SPA took 13th place among 236 hotels in the general ranking and 2nd place among business hotels! Dear guests, thank you very much! It is only through your feedback that this success has been possible. Please, continue to share your thoughts with other website users here. We are very pleased to announce that we have received the Travellers' Choice 2014 prize in two categories: Bargain and Romance. Farmona Hotel Business & SPA is in the narrow circle of 25 Polish hotels which have received similar awards from Trip Advisor. Trip Advisor - is the world’s largest travel website, whose idea is that customers themselves share their opinions. 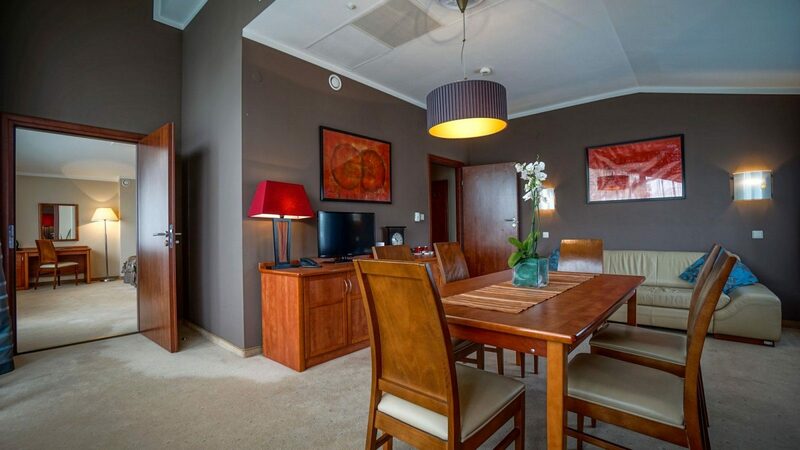 It is also one of the first sources of objective information about a hotel. 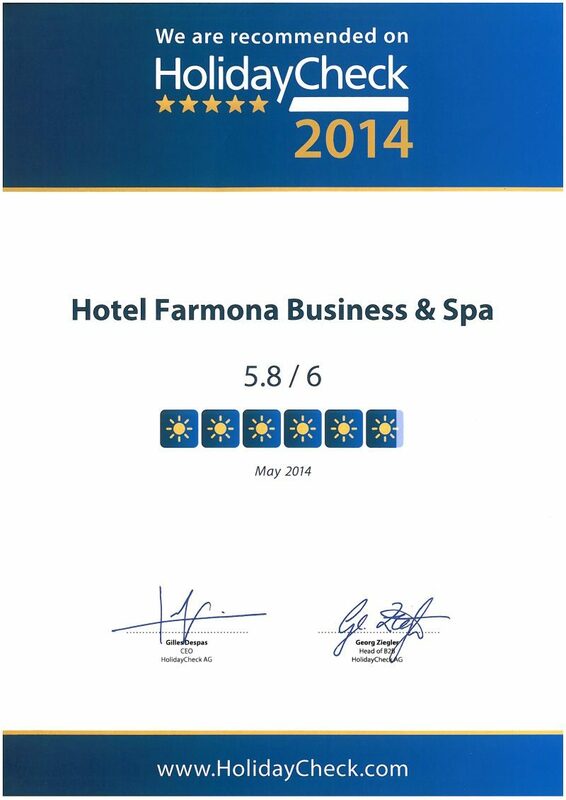 Therefore, the importance of the awards for Farmona Hotel Business & SPA cannot be overestimated! 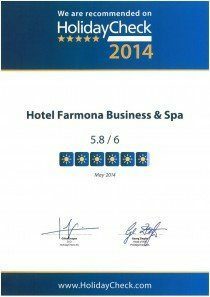 In March 2014, Farmona Hotel Business & SPA took 11th place among 237 hotels in the general ranking and 2nd place among business hotels! insights into personalised guest services. 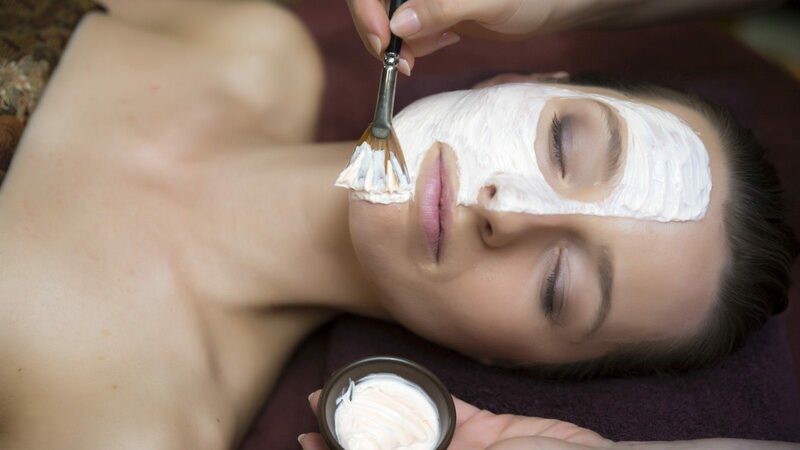 Our own body care cosmetics and the unique offer of the Balinese SPA are unquestionable assets which cannot be seen in any other hotel in Poland. Tym razem czytelniczki magazynu Samo Zdrowie były naszymi Gośćmi. Zapraszamy do lektury. The March special issue of the "Gala" weekly had an exclusive supplement called "Journey in Search of Beauty". The publication presents the best and unique SPA & Wellness hotels in Poland. 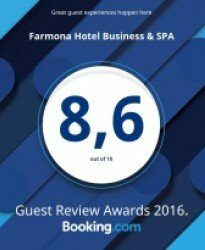 Farmona Hotel Business & SPA has been among those places recommended and awarded by the most demanding of guests. The May issue of the prestigious Forbes magazine traditionally included the Navi Travel supplement, which is a luxurious catalogue of places worth visiting on a business or family trip. Such a publication could not possibly miss out on the Farmona Hotel Business & SPA. Eden SPA & Wellness Magazine Farmona Hotel Business & SPA has appeared in a magazine dedicated to the subject of SPA. 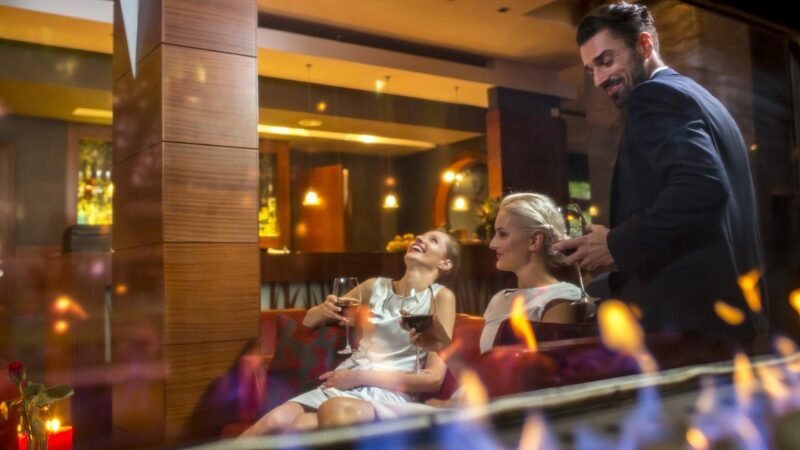 The harmony of the senses at our hotel could also be experienced by any readers who took part in acompetition where one could win a stay in our hotel with SPA treatments for two. What is the best place to spend a romantic weekend for two? We put this question to a journalist from “Uroda” who recommended Farmona Hotel Business & SPA and its relaxing treatments performed by Indonesian therapists.